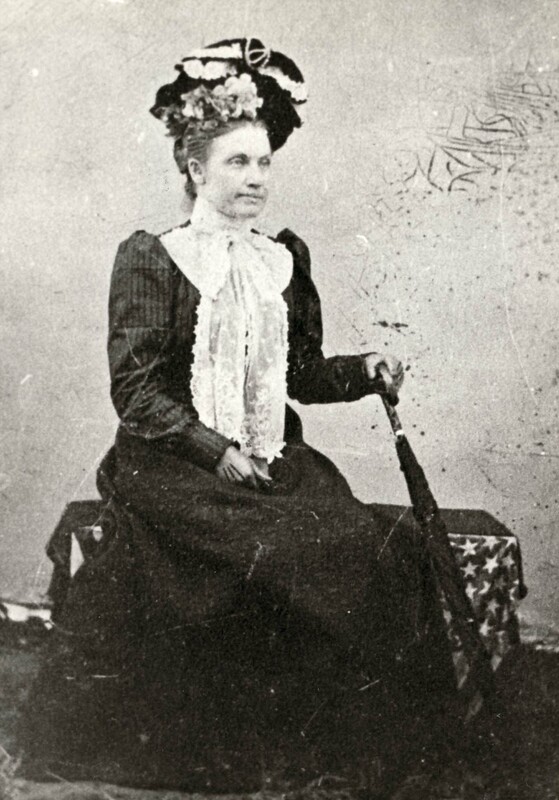 Irene Johnson Cook (originally from Fuquay-Varina, North Carolina) graduated from Elon College in 1892 and she was the first female graduate. In fact, she was the only person to graduate that year from Elon College. She aided in the creation of The Elon College Monthly in 1891 and served as editor. The Elon College Monthlywas first published in June 1891 and it marked the debut of the first medium for student expression at Elon College. The publication included articles and personal items written by students and included a few advertisements. It was published by the three Literary Societies at Elon: the Philologian Society, the Psiphelian Society, and the Clio Society. While at Elon, she was a member of the Psiphelian Literary Society. Additionally, she wrote an article in the first issue of The Elon College Monthly titled “Is Co-Education a Success.” Other essays she wrote included: “Effects of Russian Jewish oppression upon the United States” (1891), and “Has Christianity any Fears?” (delivered at the 1891 commencement). She married John M. Cook after graduating from Elon College. After graduation in 1892 she was unanimously elected to be an instructor for French and Mathematics at Elon College, becoming the first female faculty member. Along with teaching at Elon College, Irene Johnson Cook taught at Holly Springs High School, a boarding school in Holly Springs, North Carolina. After leaving Elon College in the 1899-1900 academic year, she became a well-known teacher in North Carolina, and was recognized for her accomplishments and enthusiasm in the classroom. She also served as principal at Cardenas Academy in Wake County, North Carolina. This entry was posted in Alumni, Faculty and Staff. Bookmark the permalink.